Over the past couple of months, Death In The Sickroom have consistently shown up on my timeline, newsfeed and in my ears. It’s impossible to shake the catchy tunes from your head. I first came across the “Tonight” video in June when it was reviewed by our very own Mark and their name just kept popping up. So after a bit of digging and listening, I wrote about them as the Dublin Concerts Irish Band of the Week a few weeks back. The infectious lyrics and pop melodies really struck a chord with me. Now off the back of several live performances, they are set to release their debut EP ‘Brick To The Face’ on Reekus Records, this Friday, 15th August, with a launch party in the Bello Bar the following night. The first single taken from the EP is the aforementioned “Tonight”, which is a glorious throwback to early 90’s pre-Oasis Indie-Pop. But don’t let that fool you, there is so much more to their music than on first impressions. Next up is the pure energetic ‘Plain Jane’. A track that is sure to leave you breathless when you do see these guys live. The EP continues with the title track “Brick To The Face” with an intro that would have you believing that Morrissey himself was about to bellow out the lyrics. A quick sharp track, with lyrics that hit home declaring, “You’re about as welcome as a brick to the face, my love”. An angst ridden tune streaming with intentional passive aggressiveness, just to make sure you’re paying attention. The dark lyrics remain, but the mood changes for “The Last Day of School”. A track filled with obvious disdain for those days most of us want to forget; the monotonous Monday to Friday routine of life which was first introduced to us in our school years. The closing track ‘Billy No Mates’ is the beautiful finishing touch to this remarkable debut. I’m a sucker to a summer feeling track and this fits the bill nicely. A wrap up of all the previous 4 tracks wrapped up into one 4 minute parcel. The boys were also a part of this years Rock’n’Roll Half Marathon where there is a band stand at each mile marker. A genius idea by the organisers. Each band on the course for the Dublin event was booked and arranged by the Hard Working Class Heroes. This is a multi-venue festival in Dublin showcasing the best Irish music on the scene. 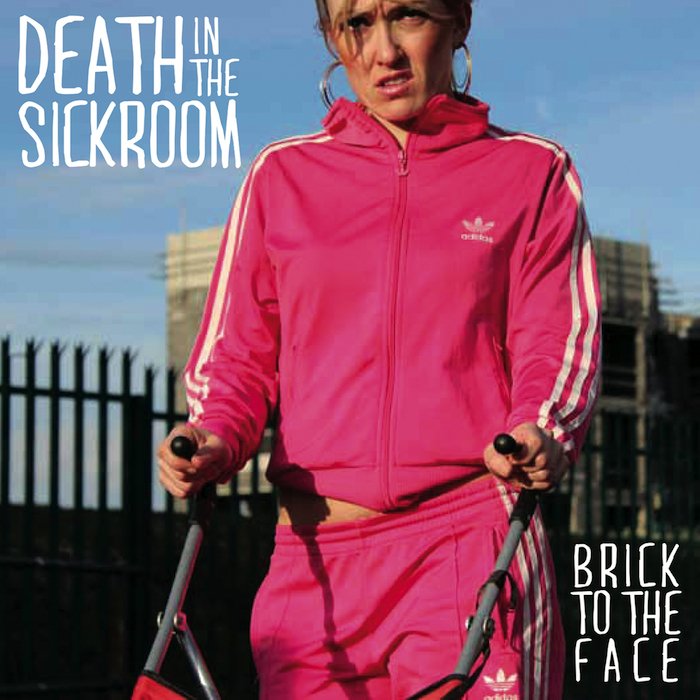 Having graced one of the stages last year, Death in the Sickroom will return again this year to play this epic festival that will take place in October.